Posted on January 5, 2016 by admin wrote in Uncategorized. There is an old saying that goes “you don’t get a second chance to make a first impression.” This is certainly the case with resumes—and as a top executive assistant staffing firm in New York, we know resumes. They are a one shot opportunity for candidates to make themselves stand out among the competition. After all, most hiring professionals spend a minimal amount of time scanning resumes and don’t have the time nor are they inclined to re-read those that don’t stand out. Your resume should be attention grabbing, error free and it should speak directly to the person reviewing it. Here are some more tips that will help your resume distinguish itself for the right reasons. Limit it to a page or two: The goal with your resume should not be to create an all encompassing story of your life to potential employers. It should be to concisely state why you are the best candidate for the desired position. There is no need to go back beyond 10-15 years. If you feel you must add career information that goes back beyond that time, and you have room, simply summarize that experience in a few lines. Check for typos, grammatical errors, and/or poor formatting: This can be an immediate resume killer. However, there is an easy fix. Check your resume often, spell and grammar check and even consider hiring a professional to create or edit it. When it comes to formatting remember to keep it simple. Keep your formatting attractive, but easy to read. Also, don’t use more than 2 different fonts (one for headings, another for content) and don’t choose ornate, unprofessional fonts. Make your accomplishments quantifiable: Omit mur ky language like “improved performance” and “led a winning team.” When you are listing your professional accomplishments, use facts and figures. Explain frequent job changes: If you’ve jumped from job to job in the past add a succinct explanation of each incident. Unless employers see reasonable explanations such as “company closed,” or “layoff due to downsizing”, such gaps could bring up red flags. Include Continuing or Online Education: Add professional development coursework, and/or online courses to your education section especially if your resume contains few traditional institutions. It has often been said that when employers review resumes, they are looking for reasons not to hire a candidate as much as they are looking for reasons to hire that candidate. Whether this is true or not, some people inadvertently sabotage their resume by making it easy for it to be quickly discarded by hiring professionals. 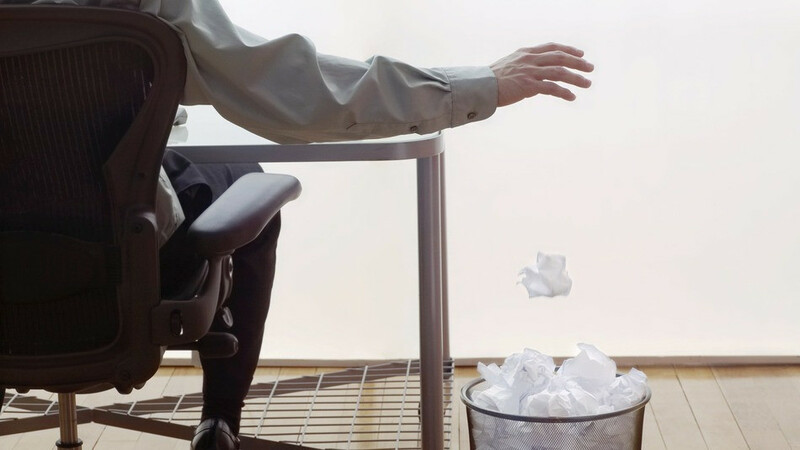 Fortunately, as one of the top staffing agencies in New York, A-List Associates can help you minimize the chances that one of these errors will be responsible for your resume ending up in some HR director’s trash bin. As an executive assistant staffing firm in New York we know how important first impressions are to our clients and can help you put your best foot forward. Good luck and may you land the job of your dreams.